This is what the dress looked like before. It had a wine-colored sash and little ribbon bows along the hem. I wore it to a picnic, but decided I needed to dress it up for an evening party. I didn’t want to buy any new materials, so I used some black velvet fabric, velvet ribbon and cream-colored lace from my sewing stash. 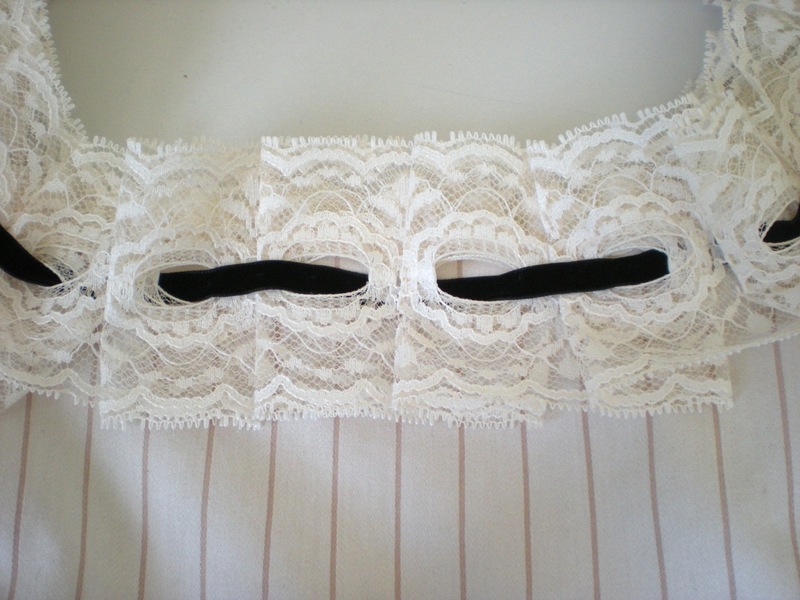 The hem was just flat lace with the black velvet ribbon woven through the holes. For the neckline I pleated the lace and held it in place with the ribbon. Here’s a shot of it on my work table. And the top on my mannequin. 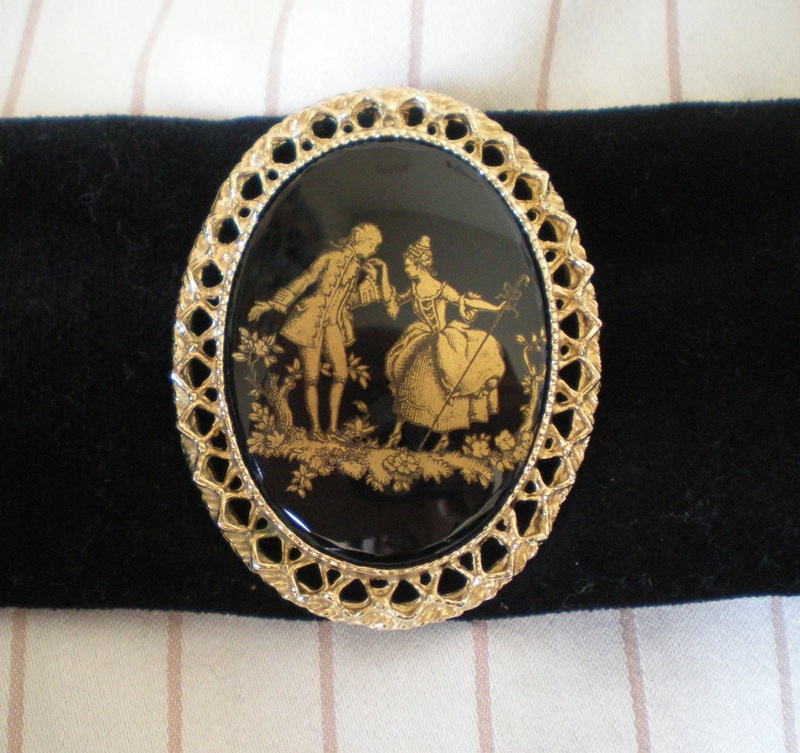 I accented the black velvet around the waist with a vintage black and gold cameo I found at the Alameda Antiques Fair. I wore the dress with a green and black shawl that a friend of mine brought me from England, and a vintage opal and onyx cameo from my mother. 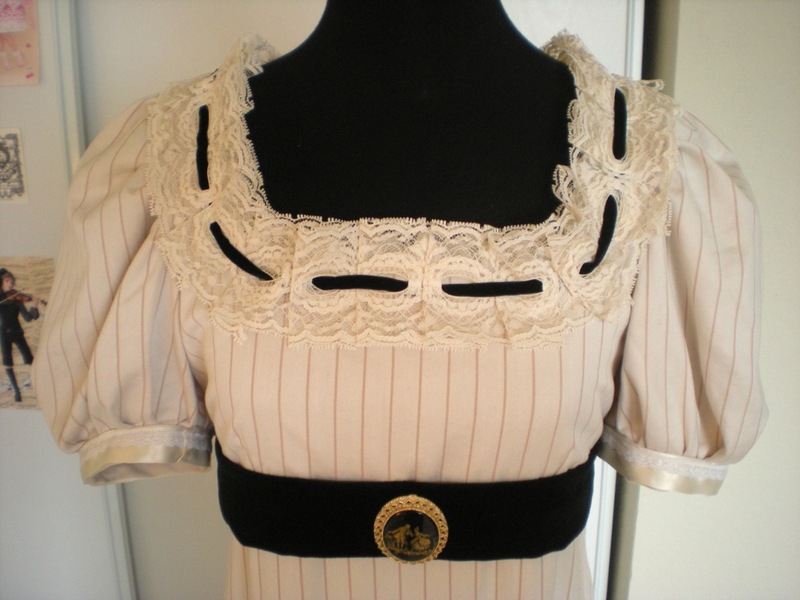 Posted in Regency and tagged costume, jane austen, regency. Bookmark the permalink.